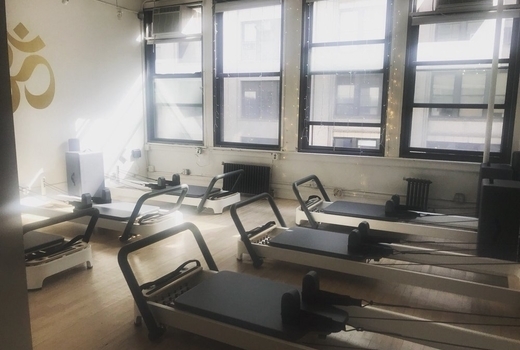 A new boutique studio boasting a perfect 5 star rating on Yelp, Just Like OM offers client-focused yoga and Pilates reformer classes designed to promote your well-being and health in all aspects of your life. 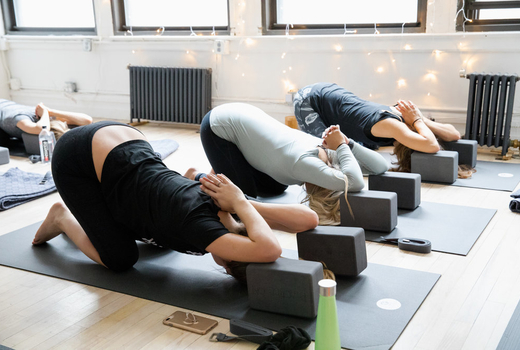 Grab this $39 pulse (a $180 value) for 10 Yoga Classes, and take your pick among the studio's 9 yoga offerings from Arise + Flow, Rhythm + Flow, Restore + Unwind, to even Slow Flow Wine Down followed by complimentary wine! Raise your vibes even higher with the $49 pulse (a $150 value) for One Month Of Unlimited Yoga. 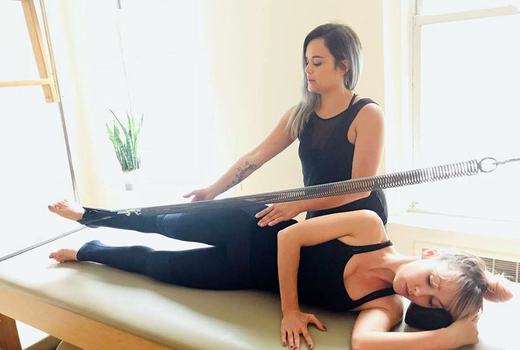 Just Like OM's expert teachers, highly trained in holistic modalities, nutrition, and fitness disciplines, will guide you on your quest to a healthy body and a strong mind. 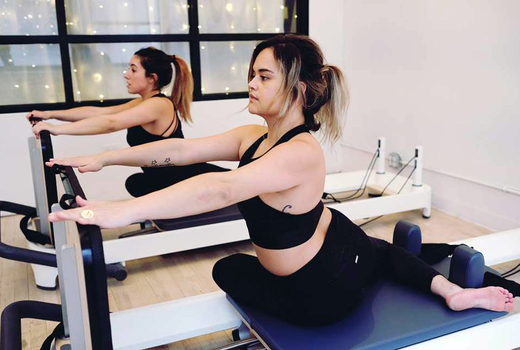 Finally, the $99 pulse (a $190 value) for 5 Pilates Reformer Classes is for you, if a sculpted, long & lean physique is what you're looking for. Metallic-splashed wallpaper, bleached wood floors and sleek amenities add a touch of joy and serenity to your self-care hour. Just one class and you'll see why there is no place like OM! 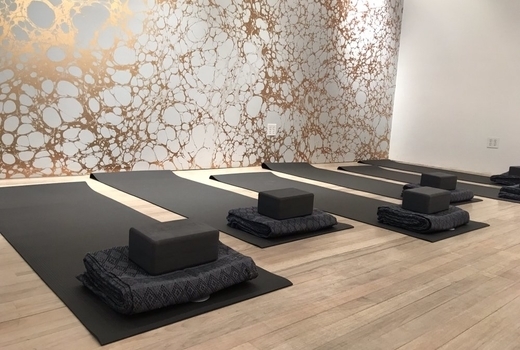 Located in the heart of Chelsea, Just Like OM is a boutique studio and holistic wellness center complete with top-of-the-line facilities, a client-focused approach and highly trained teachers. Just Like OM's yoga program comprises fast-paced, calorie-torching HIIT + Flow, to upbeat Flow + Fly (hip-hop inspired), exhilarating Flow + Fly (inversion-focused), and many more to fit your fitness goals. 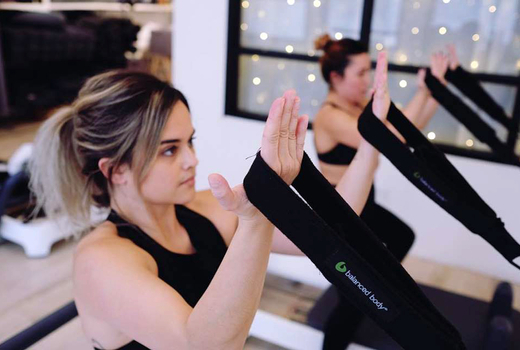 Tone and burn as never before in 7 distinctive Pilates Reformer classes, such as the Free Flow Reformer, cardio-blended Fly + Reform, and ultra-challenging Advance + Reform - you'll take your body to the next level, guaranteed. The airy, light-filled studio comes complete with mats and props, so all you need to do is come as you are, and focus on your journey! Take your pick from 60+ classes, offered 7 days per week. You may view the full class schedule here. "It was simply wonderful! Laura was an extremely attentive teacher, providing helpful adjustments and supporting my goals for my practice. 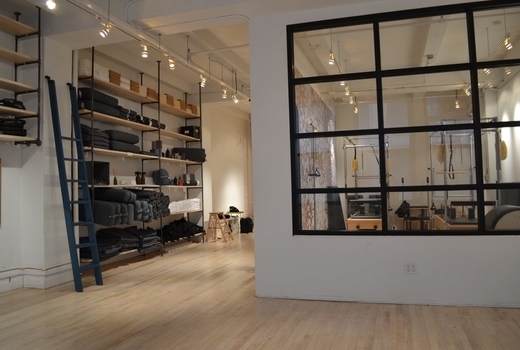 It has the intimacy of a boutique studio without losing the welcoming feeling that I always look for in a yoga studio. Love it and can't wait to go back!" "New equipment, new studio, great instructors and very challenging classes. Try a free flow or jump board class on the reformer and prepare to sweat!" May purchase unlimited vouchers for personal use and for gifting. 5 & 10 packs expire within 90 days of activation. Expires Friday May 10, 2019. Voucher must be activated by this date.